New Care is the only medically intensive home healthcare provider in the state of Washington to be accredited by the prestigious Joint Commission. New Care has been accredited since 1991. The process for initial and continuing accreditation is rigorous and highly in-depth, covering every aspect of patient safety and care delivery processes. 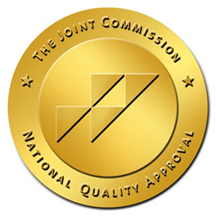 An independent, not-for-profit organization, The Joint Commission accredits and certifies only those U.S. health care organizations and programs that meet its strict standards. Joint Commission accreditation and certification is recognized nationwide as a symbol of quality that reflects an organization’s commitment to meeting certain performance standards. Accreditation consists of a periodic external evaluation and unannounced surveys by recognized experts that provides impartial evidence of the quality of care delivered to patients and clients.